The Nov. 5 General Election is a little over a week away. There is now just a little over a week to go before the Nov. 5 General Election. By the look of things, it’s pretty quiet out there. But there has been one noticeable development in the campaign. For the first time this election season, an actual, old-fashioned, campaign slate has emerged. Mayoral candidate Abdul Algazali has teamed up with council candidates Abu Musa, Rashad Almasmari, Showkat Chowdhury (whose first name is misspelled in a flyer for the slate as Shawkat) and Mohammed Hassan. Algazali is taking on Mayor Karen Majewski for a second time. Four years ago, he came close to beating Majewski, falling behind by 124 votes. This time around, he has a slight advantage after winning the primary election by 62 votes. However, Algazali benefitted by Majewski having to take on two other challengers, including City Councilmember Cathie Gordon, who ended up finishing a distant fourth. If one were to assume that Majewski will get the votes from her other two challengers, she appears the likely winner in November. But in elections, nothing is ever a given. Majewski said she is not forming a slate, at least in a formal sense. Instead, she is telling voters to also support for city council Andrea Karpinski, Titus Walters and Ian Perrotta. If the Karpinski name sounds familiar, that’s because her father, Joe Karpinski, is a former city councilmember and her mother, Cheryl, is the head of the city’s Water Department. Titus Walters is no stranger either. He has been serving on the Hamtramck School Board for several years and is the current president of the board. Ian Perrotta is probably familiar to readers of The Review. He has been a writer for the paper and copy editor. Other familiar names include Mohammed Hassan, who is currently a member of city council. He is the only incumbent running for re-election. Councilmember Tom Jankowski has bowed out from seeking re-election, and Councilmembers Algazali and Gordon opted to run for mayor instead of re-election to council. That means there are four council seats up for grabs in this election. In the irony department, council candidate Susan Dunn is now seeking the support of voters she tried to block from voting in 1999. In that election, she was among a dozen or so election challengers called Concerned Citizens for a Better Hamtramck who targeted mostly Bangladeshi and Arabic voters over whether they were eligible to vote. She was later convicted of harassing voters because the challenges she and others made were without foundation. 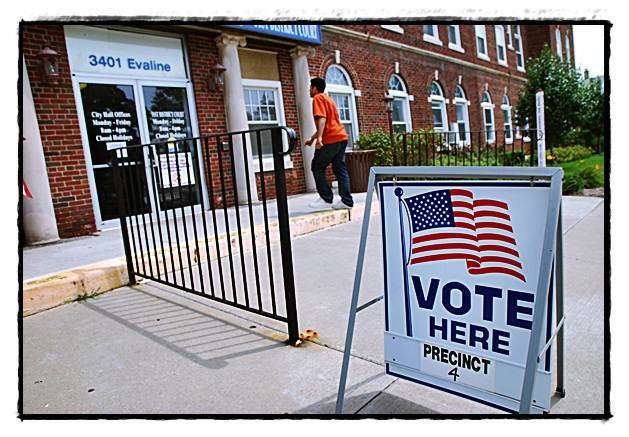 The city was sued by some of the challenged voters, and was ordered to pay them $150,000. 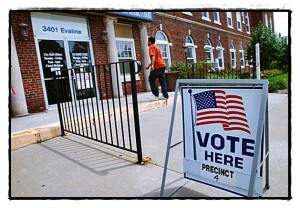 The Justice Department also stepped in and monitored Hamtramck elections for several years afterward. Since then the city has also hired a number of Bangladeshi-Americans as election workers, and posts election instructions in several languages at polling locations and city hall. In other election news, there was a candidate forum, hosted by the 3c7 Block Club, held on Thursday evening, which took place after The Review went to press. We’ll have more on that forum next week. Update: Mayoral candidate Abdul Algazali and all of the Bangladeshi-American candidates did not attend Thursday’s candidate forum. It was not immediately known why they did not show up.